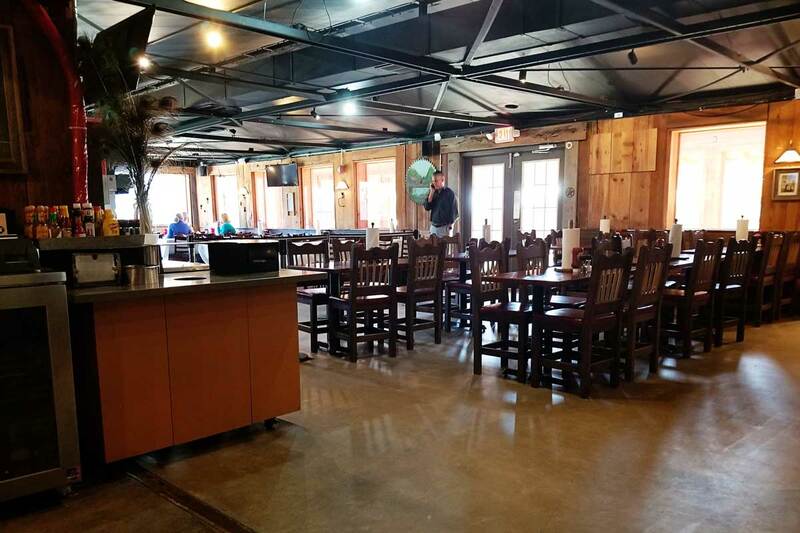 Clay’s Restaurant has been serving the Katy community for over thirty years. 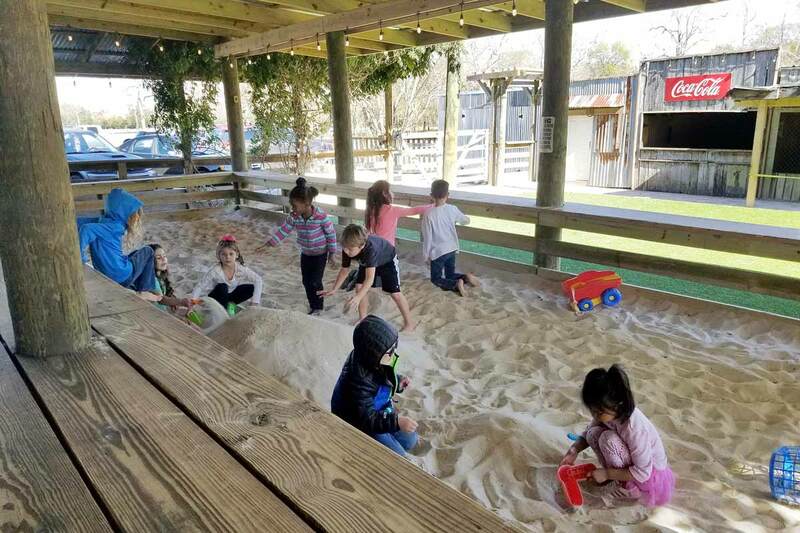 And, I’m old enough to remember playing in the yard.� Recently, we headed back over to acquaint our kids with the institution and they loved it! 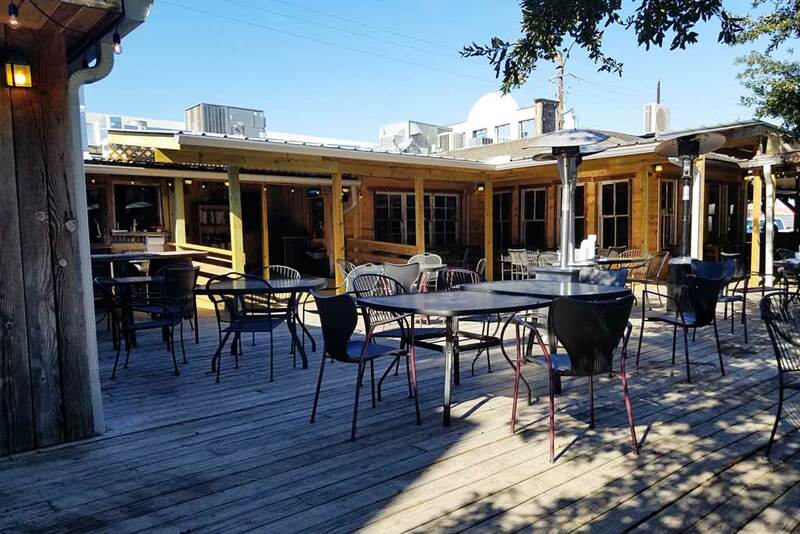 When you arrive at Clay’s you are met with their easy-to-spy sign and a large parking lot.� That should be your first clue to the crowds they can handle.� The building is weathered chic with a teaser view of the patios. Head inside and order at the counter.� There’s no wrong answer on their menu. Clay’s has been around long enough to do their food right.� We shared a Roger burger (jalapenos and bacon – yes, please! 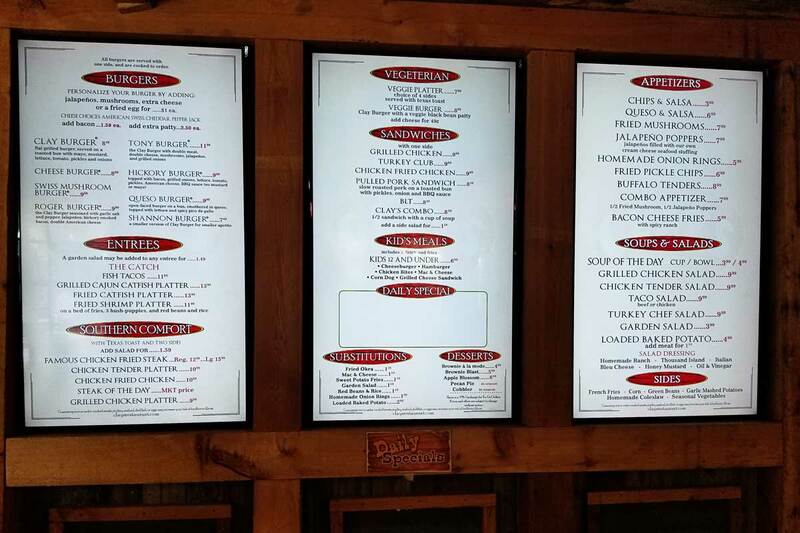 )�and the kids went for a Cheeseburger and Grilled Cheese. 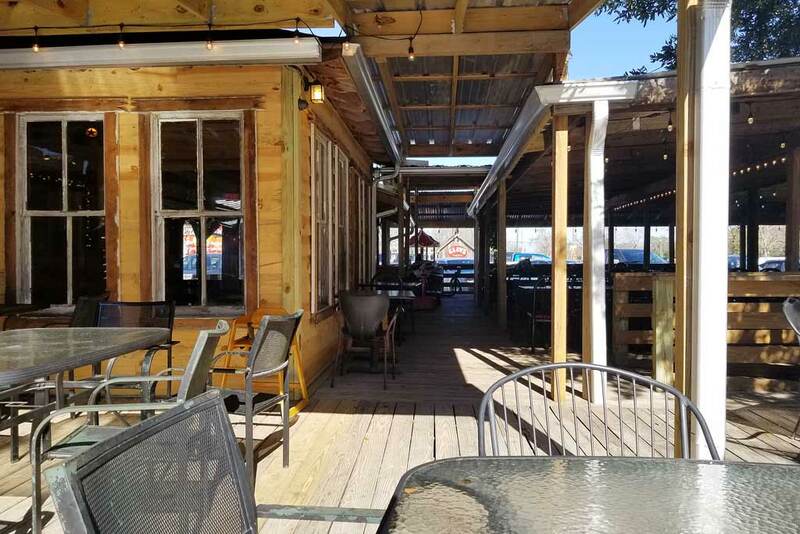 They won’t close out your bill here.� Once you get a look at the patio and yard it’s easy to understand that you’ll probably be adding to your order, as there will be no rush to leave. Just past the counter, you can get your drinks and then find a seat.� There are ample opportunities for indoor or outdoor seating (they also have rooms to rent in various sizes and configurations and starting at a very reasonable fee).� It was a beautiful day, albeit chilly, so we headed out to the patio and chose a seat in the sun. Then all you have to do is sit back and wait for your food.� Waitstaff will come by in case you want to add to your order and to close you out when you are done. The kids can pretty much run free and there is plenty of room for them to run.� The back patio overlooks a large astroturf yard. 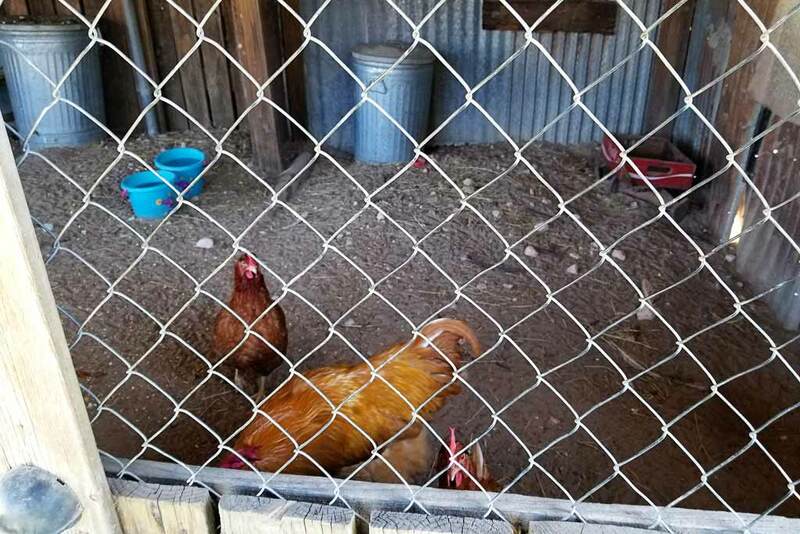 Across the back of the yard is an Old West Town front that the kids can peek through windows to see some of the residents.�Adjacent to the yard and incorporated into the patio is a large sandbox (bring your own toys). 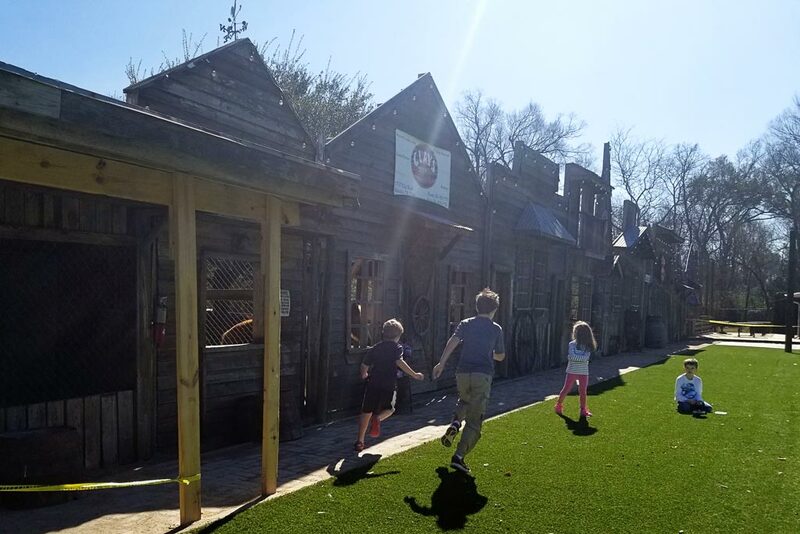 And up on the patio are a few coin-operated ride on machines (they may be the same ones from when I was little).� Plenty to keep the littles busy. 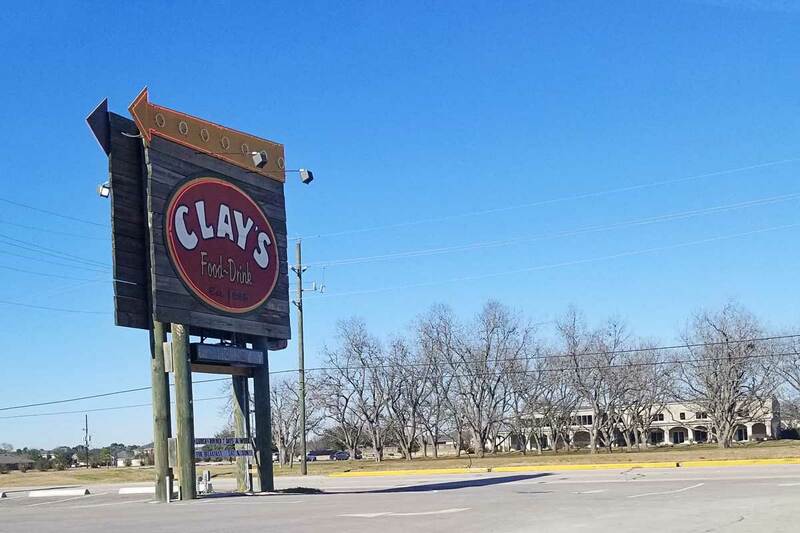 It would be very hard to have a bad day or meal at Clay’s and even if you aren’t in the neighborhood, it’s worth the drive to seek it out once in awhile. To find them head over to Clay’s Restaurant at�17717 Clay Road,�Houston, TX 77084.� ? 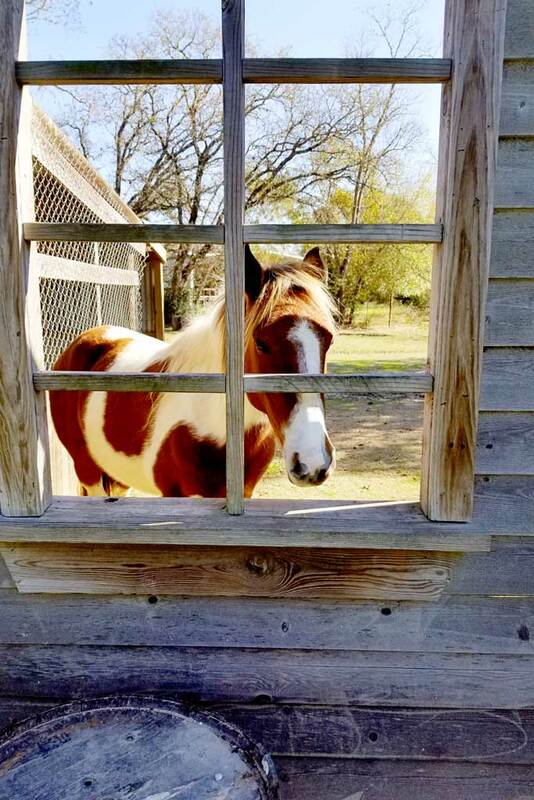 Next Post: 15 Cutest Pets to Celebrate National Dress Up Your Pet Day!